My son is super picky about the Valentines Day cards he hands out at school to his friends and classmates. Personally, he really loves the cutesy cards his sister makes. But he doesn't want to be too cutesy. 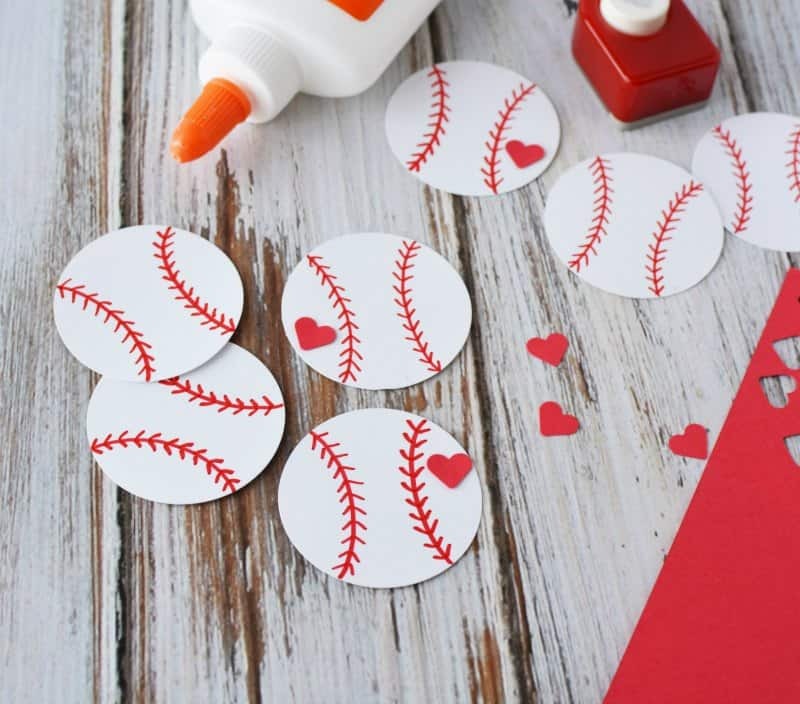 He also happens to love making crafts so we came up with these fun baseball Valentines day cards. 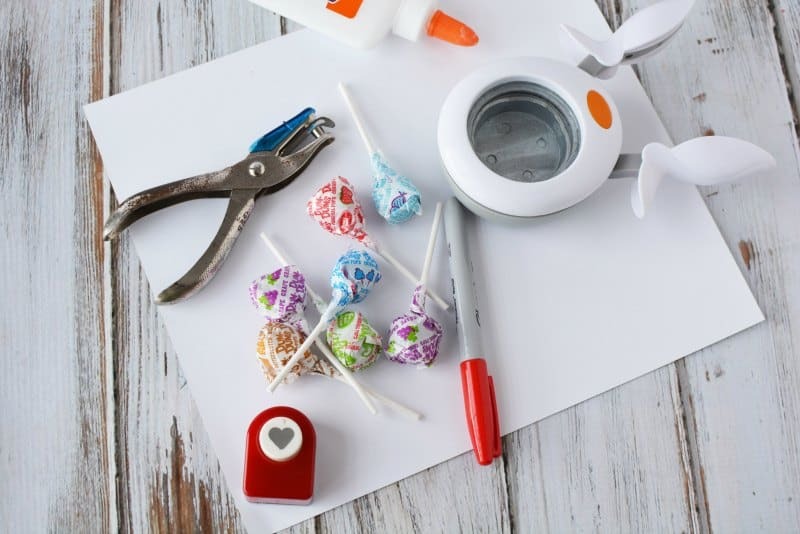 You will love how easy these are to make with a bunch of basic craft supplies like glue and paper and a big bag of your favorite lollipop suckers. 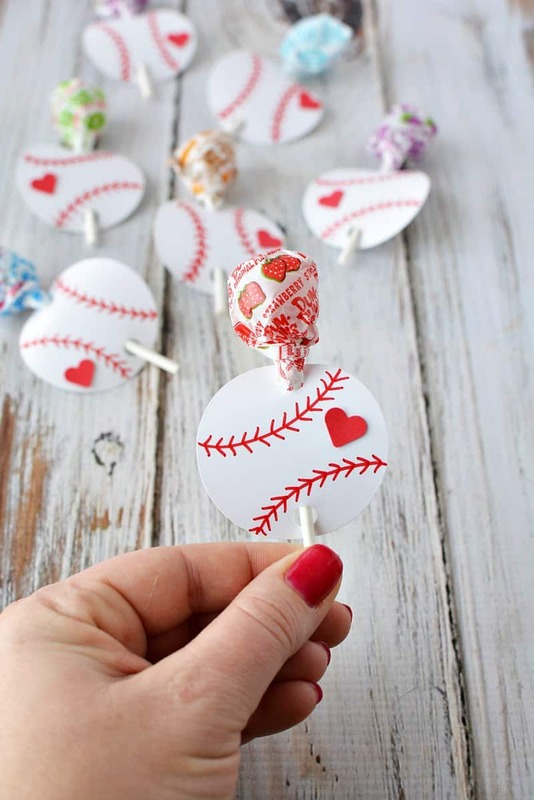 Start by cutting out baseballs from the card stock. This is a quick and easy task if you use a 2″ circular paper punch. 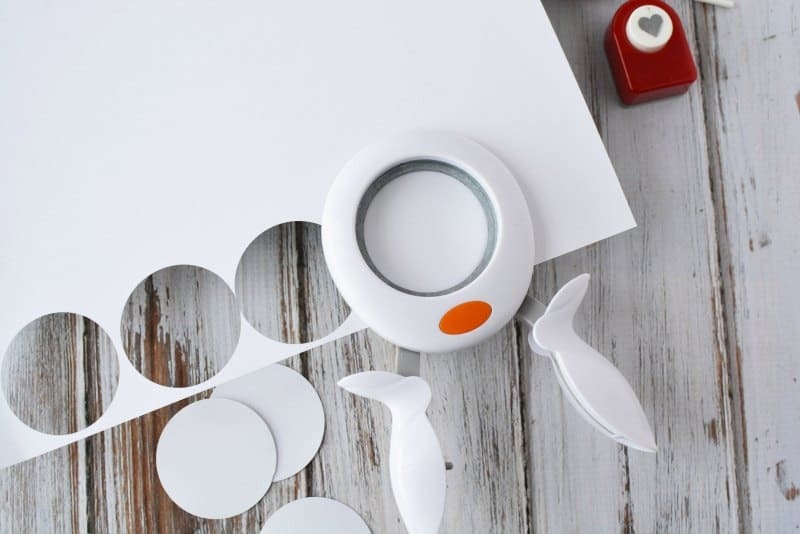 If you craft often, a circular paper punch is worth buying! You can also use a glass to trace circles and simply cut them out. 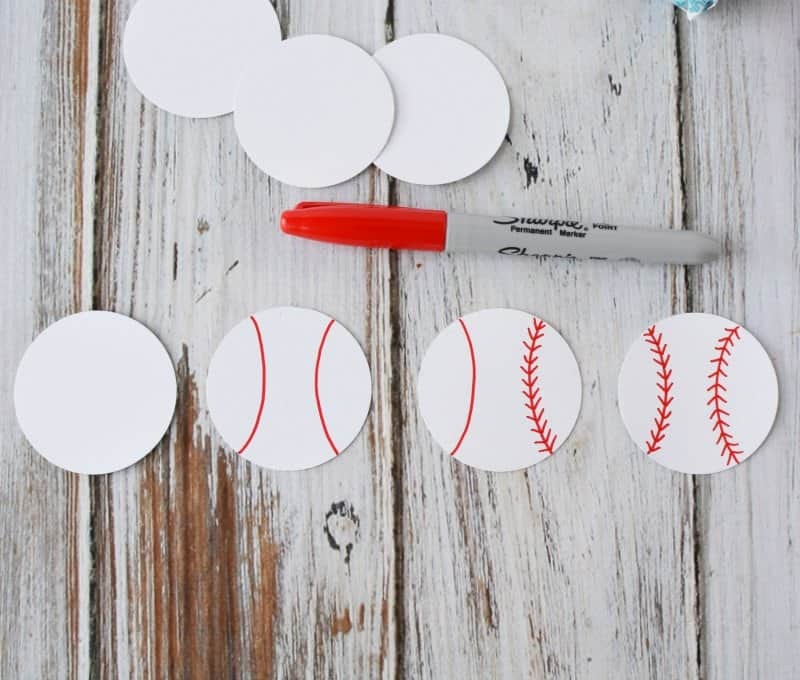 Next, draw baseball stitching onto each of the circles with a red marker. You can get creative and use glitter glue or a gel pen or even a crayon. Punch 2 holes into opposite sides of the baseball for the sucker. 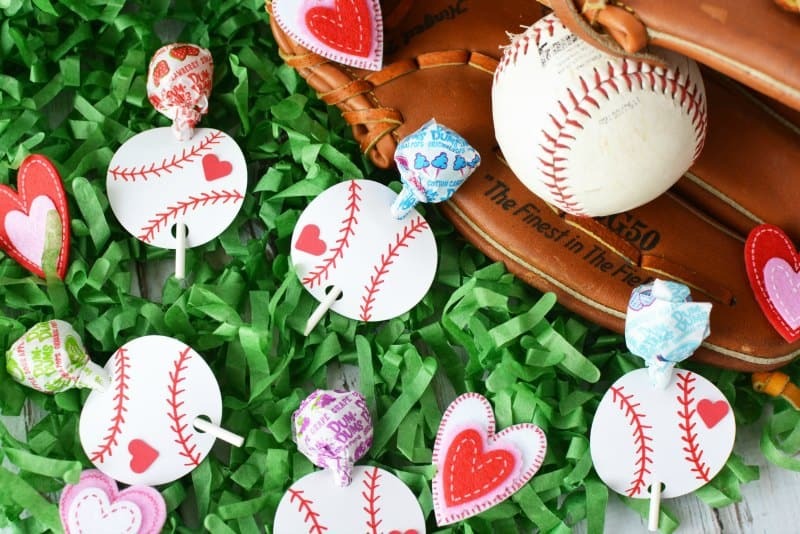 Use stickers, felt, paper, or whatever you want to put a small heart on each baseball. 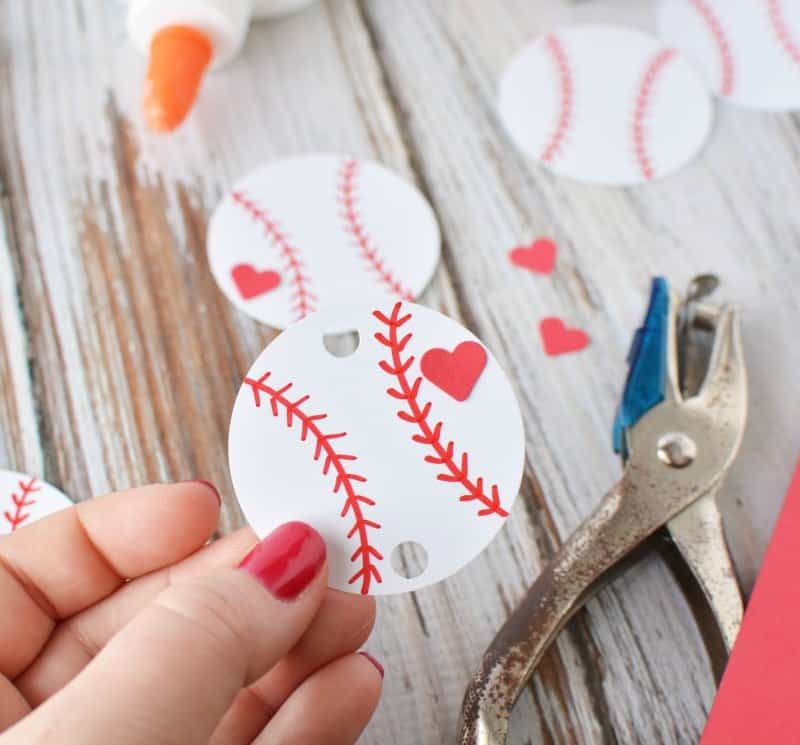 We cut little hearts out of red or pink paper with the small heart paper punch. 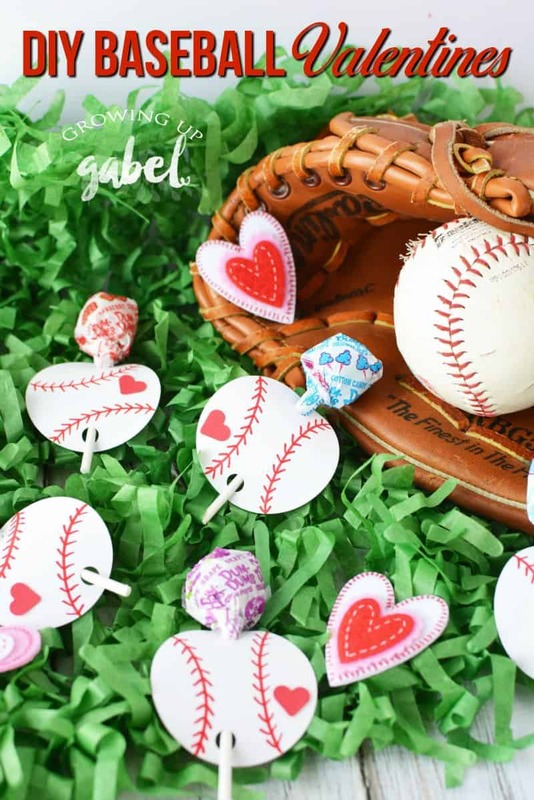 Attach to the baseball with glue or our favorite for crafting – Glue Dots! Thread the sucker between the two holes. If desired add a small piece of tape to the back of the sucker stick to affix it to the baseball. I did not do this as it seemed to catch on the wrapper and stick just fine. But you never know when sending them off with kids to hand out.